No-ordinary-man Bear Grylls has made a smash entering the ITV studios for his appearance on chat show This Morning. Not content with using the door, Bear arrived by speedboat on the River Thames, where, after taking a short break for a call of nature, he climbed up the ITV building to break a window straight into the This Morning studios, as the hosts looked on in surprise. Bear was at ITV to promote his brand new reality television series Mission Survive, where he leaves celebrities in the Cost Rican jungle to fend for themselves. Celebrities involved in the series include Dame Kelly Holmes, Mike Tindall MBE and Jamelia. 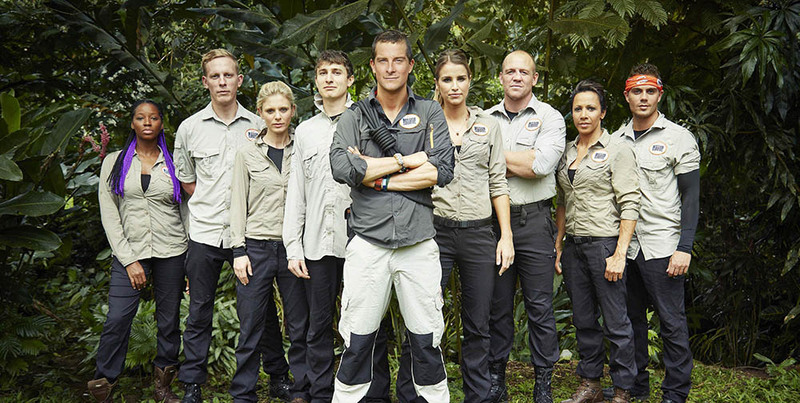 Mission Survive starts next Friday at 9pm on ITV.